Item: At 6-0 and on top of the lacrosse polls, this year’s Orange squad has its long term vision on NCAA title number 12, but first, however, those sights are set on topping new archrival Duke, the two time defending national champion, this coming weekend in the Dome. 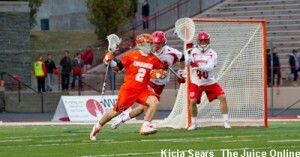 Until the NCAA Men’s Lacrosse Rules Committee takes further, larger steps towards reducing the importance of the faceoff in the sport, which they accomplished minimally with this year’s physical installation of the shot clocks – and good only if the :30 to shoot call is signaled more often by the officials to have a chance at a change of possession, the almighty faceoff draw following a goal being scored is still the ultimate weapon in a sport played very competitively by the top twenty or so of the 69 schools on the Div. I level. Much has rightfully been made about the arrival of Holy Cross transfer Ben Williams and the job he’s done in literally getting SU off on the right foot in many of its six games, or on draws following an opposition’s goal. The sophomore faceoff specialist’s 72% success rate heading into last Saturday’s 13-10 win over John Hopkins at the Dome led the nation, and although that number dipped a little with his 16-for-27 (59%) performance against the Blue Jays, he won the one’s that mattered the most in the fourth quarter of a back-and-forth game giving the ‘Cuse the opportunity to score late and hold on. Once Williams does his magic and Syracuse starts the motor on the offensive end the number of weapons is downright scary, with five of the six players on attack and the first midfield being seniors who know how to finish. 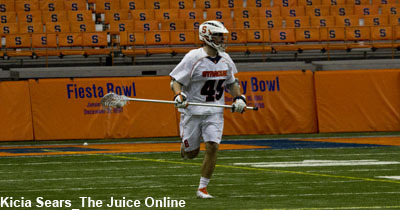 » Related: Syracuse rallies for a win over Johns Hopkins. At the other end of the field, another senior has stabilized the goalie position with Bobby Wardwell looking more comfortable as games wind down, with three of his five saves coming in the fourth quarter versus JHU, including a big one with the game tied at 10 with 10:00 to play. 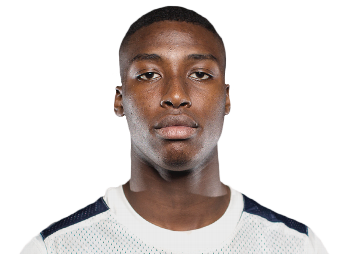 The next shot on the field for the No. 1 Orange goes from the Blue Jays to the Blue Devils, as in Duke, the program the Orange has instantly forged a bitter rivalry against in the nascent years of ACC play. Not only is SU looking to end a seven year national title drought and take the trophy back north from Durham, but other than last year’s improbable last second 16-15 comeback win in the ACC Tournament semi-finals, DU has dominated SU on the field recently (SU outscored 61-36 in four losses dating back to 2012) and the Orange want to change that Sunday afternoon (12:30 p.m. ET / ESPNU) in Duke lacrosse’s second-ever visit (a 12-11 SU win in 1994) to the Dome.